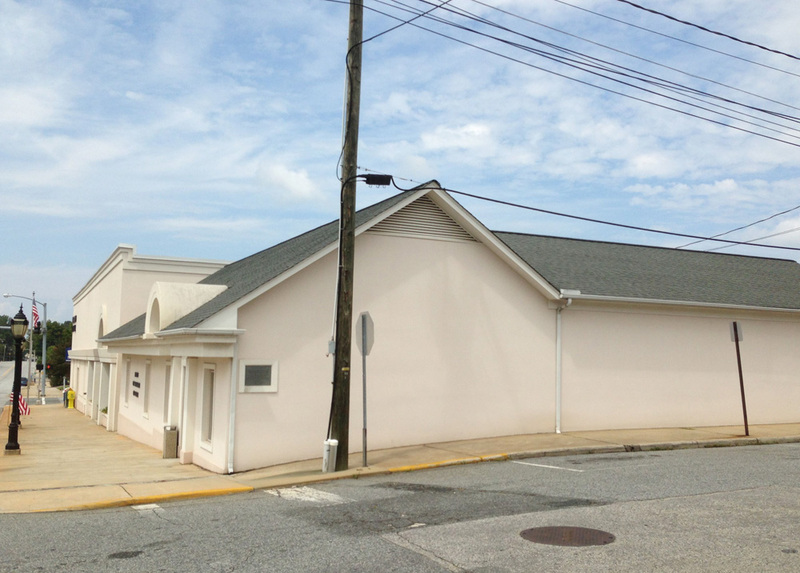 Description: The plaque commemorates the site of the first known business to sell Lexington style barbecue. Subject notes: First prepared for the people coming into town for court and for farmers on Saturdays, the Lexington style barbecue has since grown into an industry that the town is widely known for. In the early days of business, the barbecue was prepared on open pits and under tents. 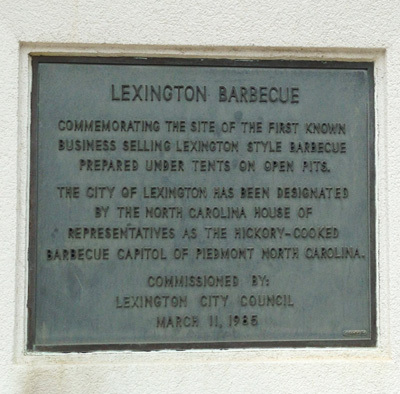 The North Carolina House of Representatives later designated Lexington as the Hickory-Cooked Barbecue Capitol of Piedmont North Carolina. Barbecue is a regional specialty in North Carolina, with the style of roasting and recipe for sauce varying throughout the state. Since 1983, Lexington has hosted the annual Lexington Barbecue Festival to showcase and serve Lexington-style barbecue. Location: The plaque is located on the south side of the Lexington's City Hall building, at the intersection of West Center and North Greensboro Streets.